Well, you asked for it! There was nothing subtle about this year’s re-entry into the monsoon season. Our endless summer of warm dry weather and abundant sunshine ended abruptly when Mother Nature jumped in with both feet. Clouds swept in, literally bursting with precipitation and transformed our skeletally low rivers into violent floodwaters filled with debris seemingly overnight. We’re most definitely back to that time of the year when the USGS hydrological site sits in the forefront of our internet bookmarks and we’re watching the water spike and drop like an irregular heartbeat. It makes planning a fishing trip a little more tentative when you’re at the mercy of the weather and what the heavens decide to throw at you in terms of conditions. Did I mention it’s a fine time to be tying flies? There are actually some pretty decent fishing opportunities out there right now and some exciting things to look forward to on the horizon. It’s not all doom and gloom. For starters, Kulshan Brewing’s Kitten Mittens has been released for another season and makes as fine a fly tying companion as one could ask for. It’s a great excuse to congregate around some fiery warm locale and swap tales of summer fishing. Come join us at one of our fall fly tying sessions this month for a chance to tell your stories and tie a few of your favorite flies. The other good news is that we have lots of fresh salmon pouring into various rivers and they should be waiting at the helm when things fall into shape. Cooler weather is around the corner, which should lessen the extremity of each new rain event. And if it does rain, and it likely will, we still have some fisheries that are more or less rainproof so you can get out and experience the joy of fly line coming tight to a good fish and enjoy the unpredictable dance that ensues. We should add a verse to the “Wheels on the Bus” song that goes, “The rivers in the Sound go up and down”. We could all merrily sing it as we carpool down the highway to whatever river of the day affords the greatest promise of being in shape…or not. The USGS flow charts are your best friend this time of the year. Use the graphs, learn your flows and what you’re looking for or feel free to ask us for help deciphering what it all means. I’m old enough to remember the days before internet and driving out to look at a piece of water after a rain squall to see if it was in or out. Sometimes you got there with the water high and clearing and the fishing was lights out, others you just stared grimly at the procession of logs and root wads rolling downstream in the foaming brown water. Gas was a lot cheaper then, but time is still worth about the same. We still have lots of new coho coming in along with some chum salmon too. The coho are doable on a 7 weight, sometimes even a 6, but you’ll want nothing less than an 8 weight rod for duking it out with a chum. Every year I’m impressed anew by the tenacity and all out fury in how these toothy critters fight. Late November also ushers in the first of our winter steelhead, with a reappearance of big bull trout in most of our North Sound river systems feasting away on dislodged salmon eggs, decaying flesh and whatever hapless fish might represent a little nutrition. The crowds start thinning out, your Gore-Tex works overtime and you get to experience some quietude interrupted only by the occasional scream of a reel. We fish a lot of BC rivers this time of year in addition to the stateside options. The Stave, being below a dam is about as weatherproof as they come, being essentially almost always in shape. Coho continue into mid November as the chum taper off. The Vedder coho wind down over the next few weeks but a second run of typically very bright and aggressive chum shows up. 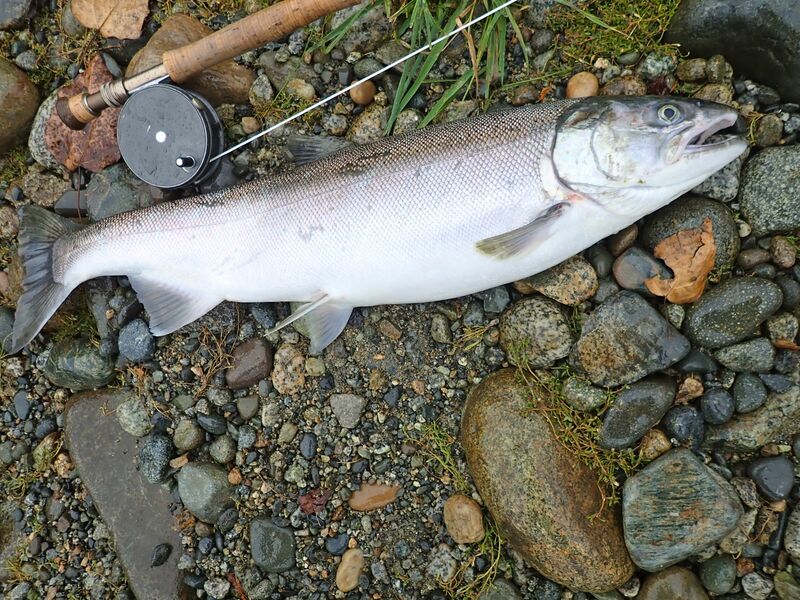 The Harrison sees some very late coho even into December, as does the Skagit on this side of the border. The Nooksack mainstem and NF get late coho and a good return of chum. Some cold weather and a few dry days will help get this one shaping up, but it can be the most volatile of them all when it comes to blowing out. The NF Stilly should also still have a few summer steelhead hanging around when it comes back in and continues to be fly fishing only until December 1st. For the late season coho, when flows are up we fish bigger, brighter gaudier patterns like Conehead Pixies Revenge, Showgirl, and Popsicle, Purple or Black Barbell Egg Sucking Leeches and Starlight Leeches. Chum will eat these flies readily but like them presented differently. Our motto is strip for coho, drift for chum. You’re going to cast your fly cross-stream, let her sink and then start stripping it back to you at a variable pace for coho to get them interested. Whereas with chum, our best tactic is to hang a front-weighted fly under an indicator on a floating line and drift it natural just above the fish with an occasional twitch. 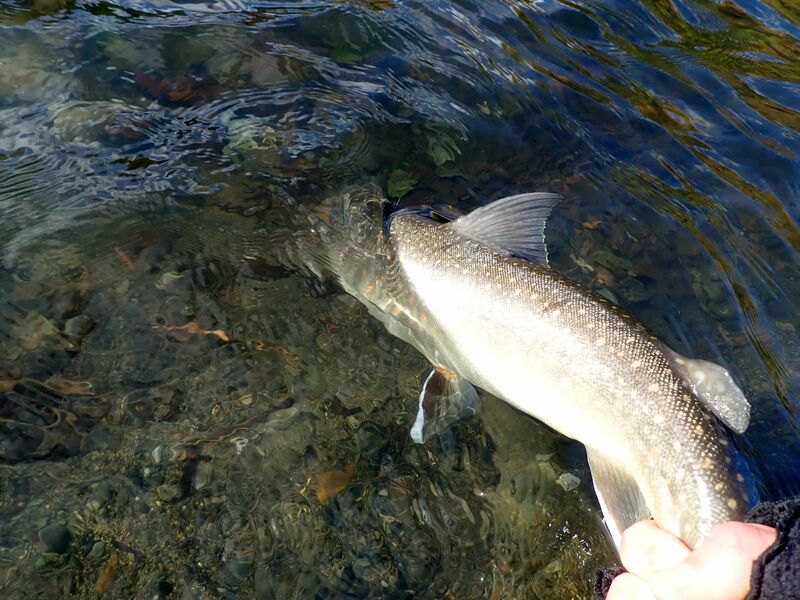 For bull trout, flesh flies such as the Pink/Tan or White Dali Llama or Split Decision work well both swung and drifted naturally, as do egg patterns or beads fished beneath an indicator. You’ll often get quite a few whitefish fishing this method as well. Winter steelhead will take any number of patterns. We like the brighter Cabellero’s, Pink Pick Yr. Pockets, Pink/Orange, Blue/Cerise or Purple Hoh Bo’s quite a bit for early hatchery winter runs. 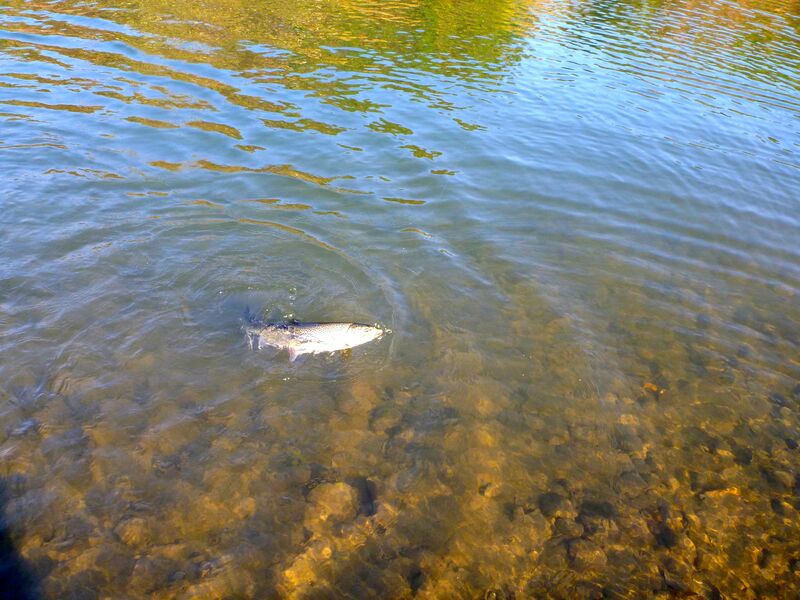 The name of the game is cover a lot of water as there are generally fewer steelhead around until later in December. It’s hard to think about bobbing around on a local lake this time of year when the wind is churning the surface to a frenzy, but on the calmer days, many of our year round lakes can fish really well, particularly when it’s not been terribly cold out. Squalicum Lake has been producing nice rainbows and some cutthroat for those braving the elements and Pass is starting to clear up from its seasonal algae bloom. We fish a lot of streamers at Pass in the fall. The bigger browns and rainbows really key in on minnows, and Zonkers, Micro Zonkers, Sparkle Minnows and Olive Beldar Buggers work well. Padden was also planted in October with 1,100 rainbows averaging close to a pound each. 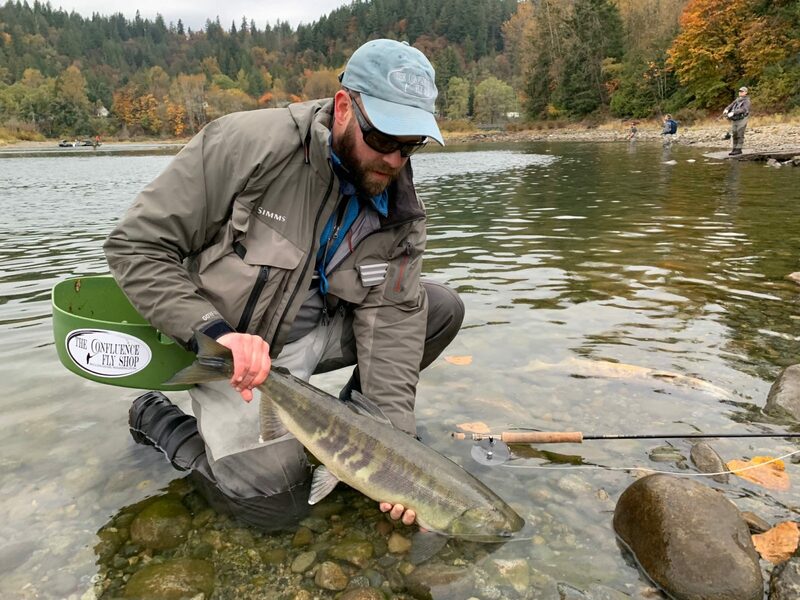 While it normally closes on Halloween, the WDFW is leaving it open until January 6th this season to allow opportunity to catch some of these fish. Woolly Buggers, Doc Spratleys and Carey Specials have been catching some nice rainbows at Padden. South Sound and Hood Canal continue to produce sea run cutthroat, though it’s been pretty quiet around the North End. 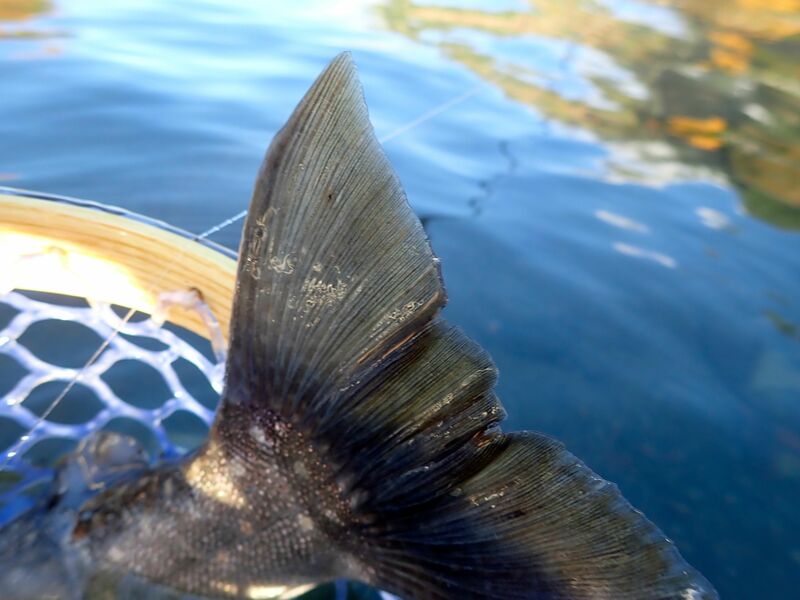 Tagged Bull Trout, chum, coho, Fishing Report, fishing reports.